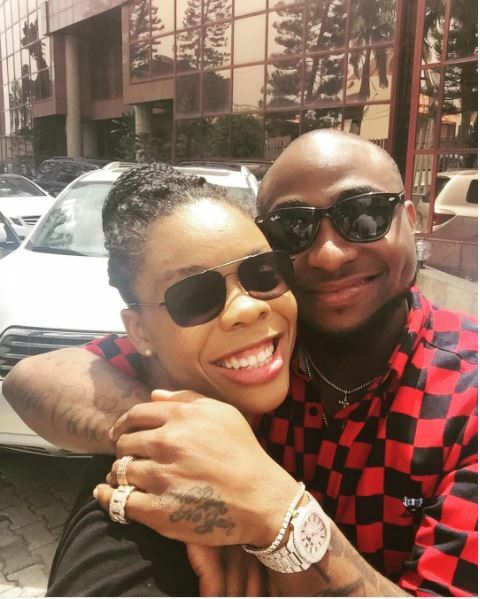 Almost a year after dancer Kaffy called out music star Davido for disrespecting her and her dancers after practicing endlessly for a performance with him and then getting little or no pay, the two stars have worked things out and shared clips on social media to show that there’s no bad blood between them. After Kaffy’s call out in 2016, Davido had stated that he was shocked to see her rant and that he was almost always a victim of everything. The drama escalated so much that dancers in the music industry started taking sides. We’re glad to see that that’s over. See the clip of their love below.